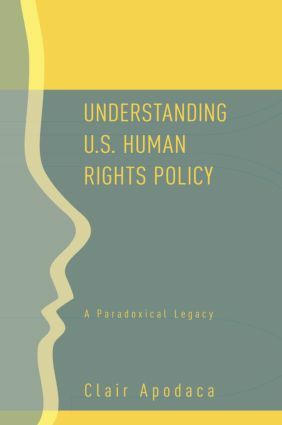 This book provides a comprehensive historical overview and analysis of the complex and often vexing problem of understanding the formation of US human rights policy over the past thirty-five years, a period during which concern for human rights became a major factor in foreign policy decision-making. Clair Apodaca demonstrates that the history of American human rights policy is a series of different paradoxes that change depending on the presidential administration, showing that far from immobilizing the progression of a genuine and functioning human rights policy, these paradoxes have actually helped to improve the human rights protections over the years. Readers will find in a single volume a historically informed, argument driven account of the erratic evolution of US human rights policy since the Nixon administration. Understanding U.S. Human Rights Policy will be an essential supplement in courses on human rights, foreign policy analysis and decision-making, and the history of US foreign policy.